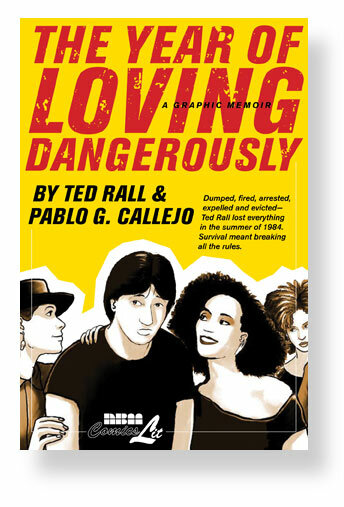 Come and meet Ted Rall, author of our new The Year of Loving Dangerously at Barnes & Noble on 82nd and Broadway in nyc Tuesday the 16th at 7PM. Rall is also the author of the best-selling To Afghanistan & Back and Silk Road to Ruin, all available from NBM. He’ll be signing and chatting about his collaboration with Pablo Callejo on this critically acclaimed new book. He’ll also be ready to talk about his next mission to Afghanistan he’s raising funds for through Kickstarter.